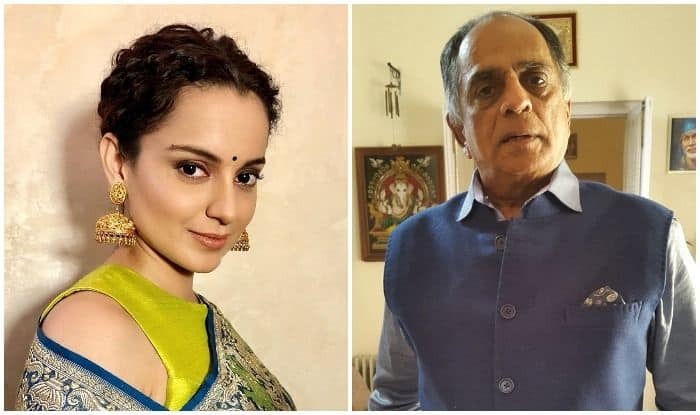 Always in news for her explosive comments, Manikarnika actress, Kangana Ranaut, recently made headlines for alleging that former CBFC Chairman Pahlaj Nihalani had once asked her to wear a robe without any undergarments for his film I Love You Boss. Refuting the claim, Pahlaj sent out a warning to Kangana and revealed that he had approached superstar Amitabh Bachchan also with a role in the movie. Kangana had recently mentioned the incident in a recent talk show and said, “The fact that people met and promised to guide and help me, but then I was put under house-arrest. And then Pahlaj Nihalani had offered me a film called I Love You Boss. They had a photoshoot where they gave me a robe to wear, and no undergarments. So, I just had a satin robe for a show-girl pose, from which I had to stick my leg out, coming out of darkness”.